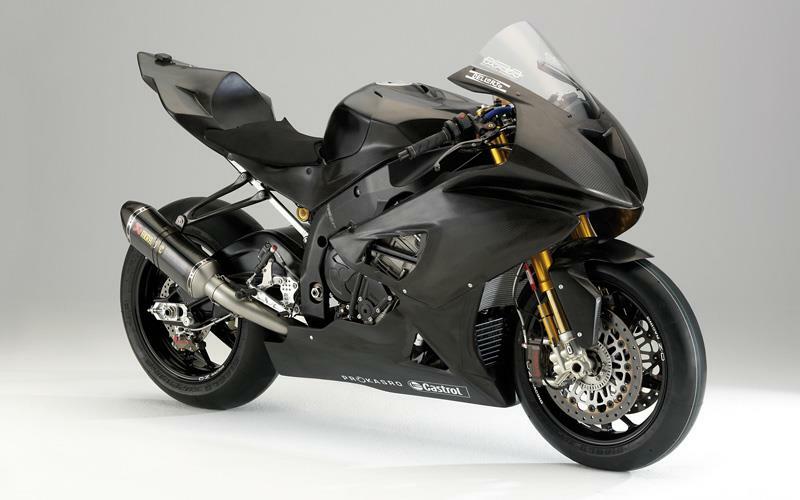 BMW has finally unveiled a prototype of its road-going superbike which it claims will be the most powerful production race replica ever. A near-road spec version of the S1000RR was tested back-to-back with the firm’s WSB-spec race machine at an exclusive test at Lausitzring in Germany last week. BMW vows the 1000cc in-line four street bike will pump out a true 190bhp and weigh under 190kg when it goes on sale at the end of next year. That means it will weigh 10kg less than it's Japanese rivals and produce 10bhp more.